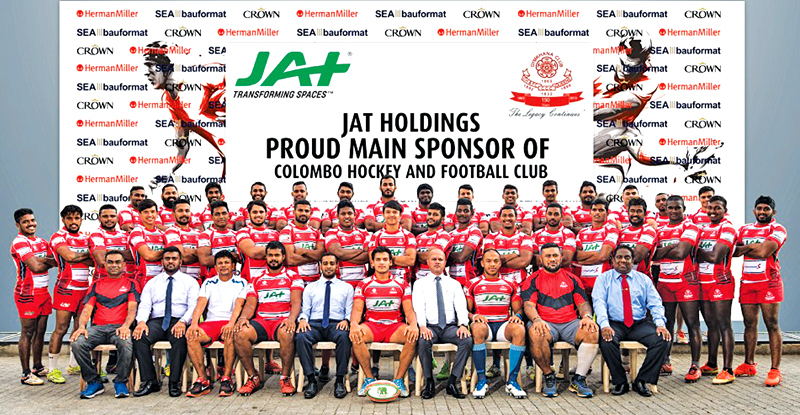 JAT Holdings recently penned an agreement to continue to sponsor the rugby team of the Colombo Hockey and Football Club (CH & FC). 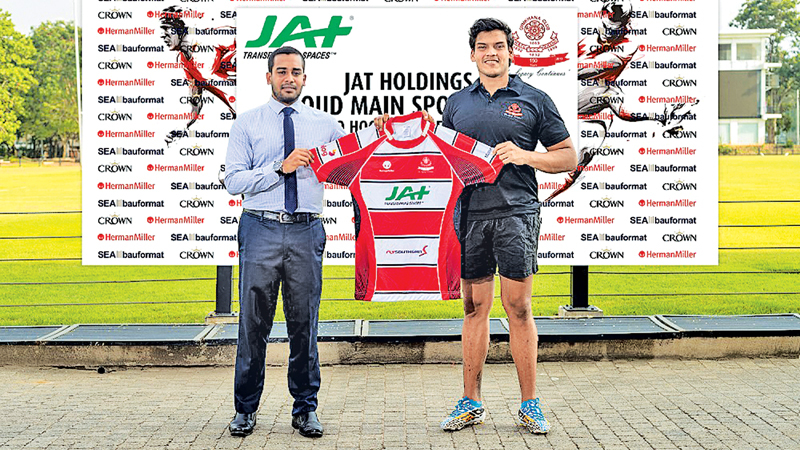 The handing over of jerseys for the second season took place at the Race Course Grounds recently with the participation of JAT Holdings, Brand Manager, Sakbo Kohona and CH & FC Rugby Secretary, Major Tanesh Dias. JAT Holdings, Assistant Brand Manager Nalan Rupasinghe was also present. The symbolic first t-shirt was handed over to CH & FC Captain, Rohitha Rajapaksa, for the second half of the season that will commence at the beginning of 2018. Referring to the handing over ceremony Brand Manager Sakbo Kohona said, “Incessantly JAT Holdings has been recognized as the pioneer in thriving through terrains of innovation and diversification, as well as in uplifting the values of Sri Lankan talent in art, drama and sports. Transforming spaces since its establishment in 1993, JAT Holdings is one of Sri Lanka’s strongest and fastest growing conglomerates. The company is associated with world-class brands in the furniture, paint, real estate and technology sectors. JAT has also been instrumental in supporting and uplifting many sports and CSR initiatives for the last two decades.